8 a.m. – 5 p.m., Monday – Friday, excluding holidays. Our goal is to provide exceptional, personalized, and cutting edge orthopedic care in a friendly and intimate environment. We offer surgical and non-surgical management of your injuries, depending on what's best for you. 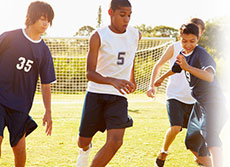 At Boyette Orthopedics & Sports Medicine, we make a team effort to provide individualized care. We tailor your care plan to meet your needs and expectations. You will always see a professional who is trained to provide outstanding diagnostic and procedural care. We emphasize patient education to help you understand your condition and treatment options. Your participation in your care and decision-making contributes to a better outcome. Driving West on Stantonsburg Road, turn left onto Bethesda Drive. Take the next left onto Bowman Gray Drive. Our office is in Suite B at the back of the third building on the left.